A small state in the mid-Atlantic, there are plenty of sandy shorelines and many swimmable beaches in Delaware. Delaware’s east coast is made up of the Delaware River, Delaware Bay, and the Atlantic Ocean. Temperatures in the summer reach into the high 20s and low 30s, and the ocean here is warm enough to swim in. Summer weather is perfect for a day at the beach. Delaware has three coastal state parks with many miles of sandy beach. 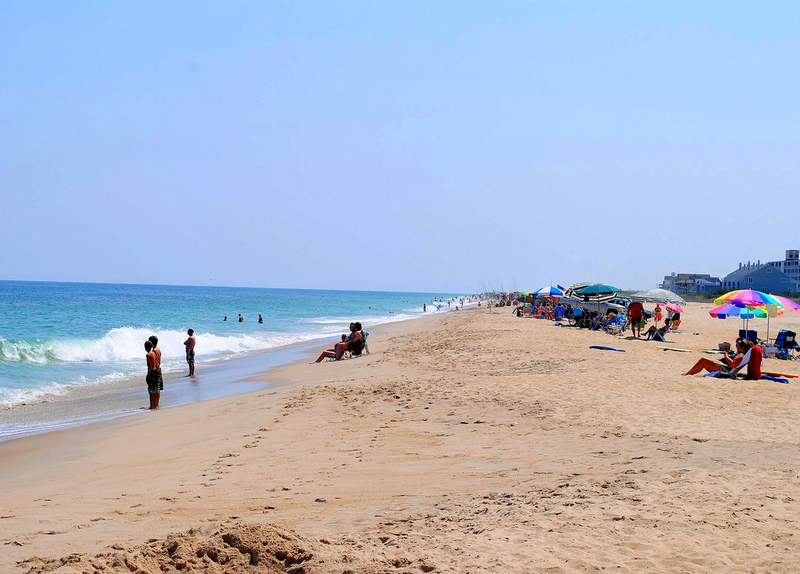 Cape Henlopen State Park and Delaware Seashore State Park offer sandy ocean beaches with designated swimming areas. Some more rugged beaches might require water shoes over rough terrain. Fenwick Island State Park offers the quietest beaches and features white sand beaches with swimming areas in the Atlantic Ocean. This park also has one of the few designated surfing areas in the state. Every spring, Horseshoe crabs come ashore to mate on the beaches in Delaware Bay. While camping is not allowed at Delaware’s beaches, there are plenty of resort towns that make multiple day trips possible. Sand dunes are a very important part of the ecosystem at beaches in Delaware. As well, dunes are the first line of defence when storms hit the coast. These sensitive dunes should be enjoyed from afar. Rehoboth Beach and its neighbour, Dewey Beach, are some of the best known summer getaway spots in Delaware. Even visitors from neighbouring states gather here to enjoy the long sandy beaches and clean, swimmable waters.